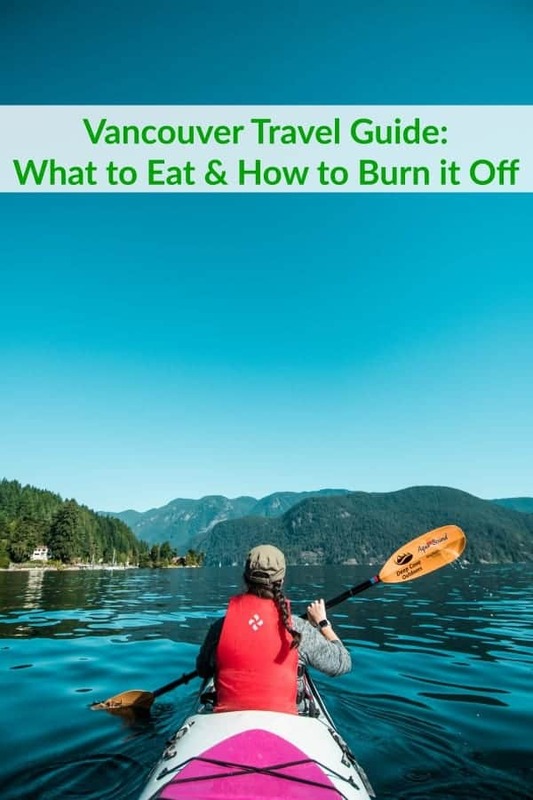 The ultimate Vancouver travel guide: I’ll tell you where to stay, what to eat and how to burn it off! 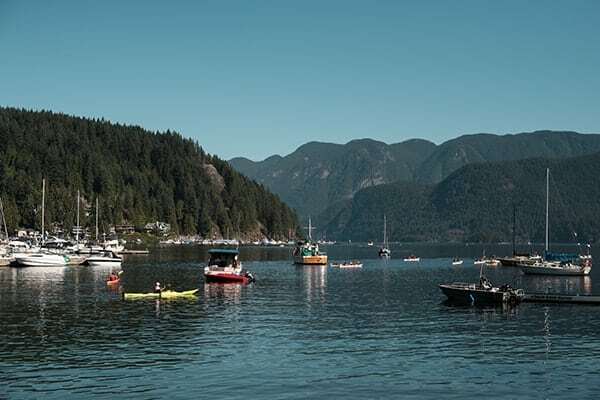 Canada is one of the most beautiful places in the world which is why I was so excited to return to one of my favorite destinations ever, Vancouver! 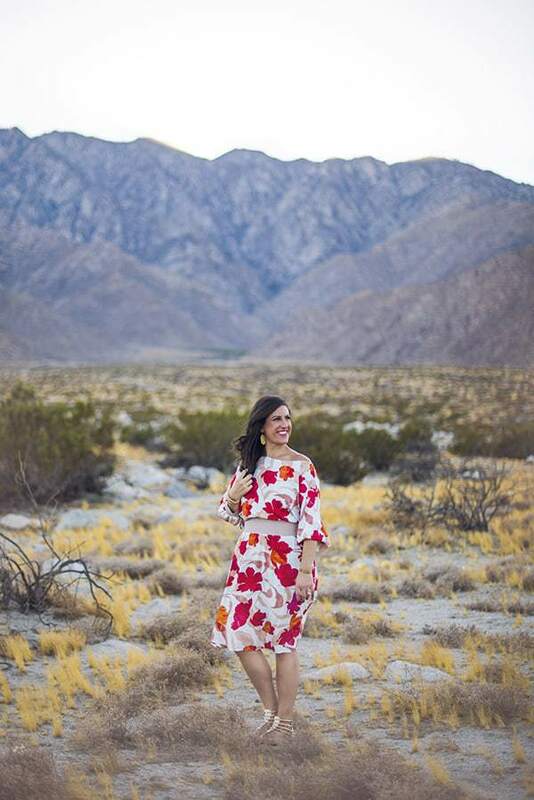 Commemorating the 12th edition of my wellness travel series, What to Eat and How to Burn it Off, I couldn’t wait to explore this thriving cosmopolitan city surrounded by natural beauty. 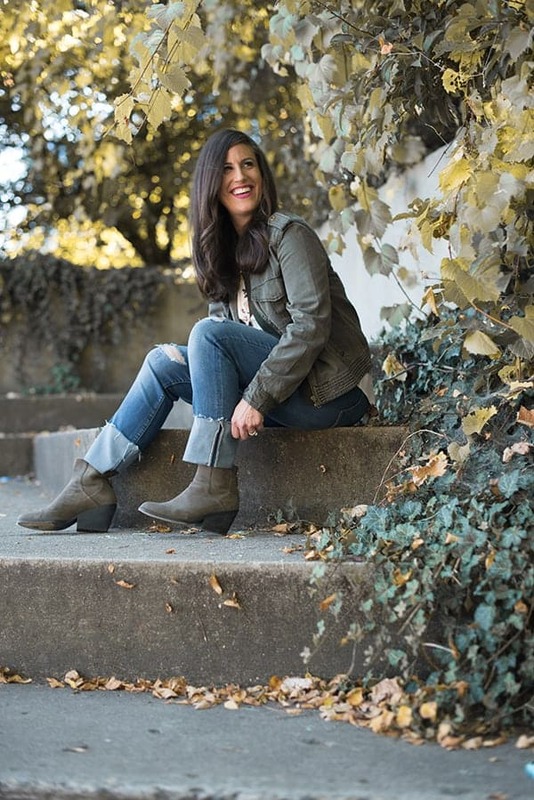 In case you’re just tuning in, you can check out all of the other cities I’ve covered for the series including Chicago, Denver, Charleston, Tucson, New Orleans, Grand Rapids, San Diego, Vail, Miami, Utah and Banff. 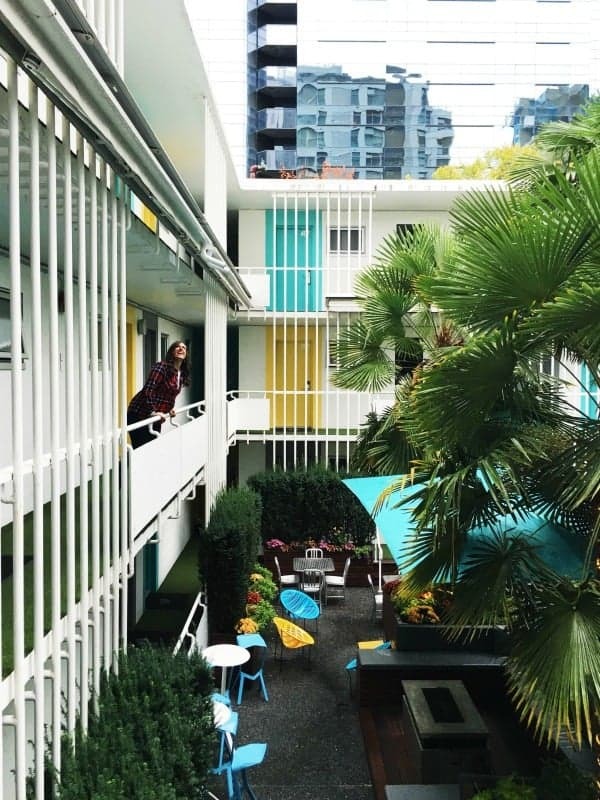 Home base for my visit to Vancouver was The Burrard, a boutique hotel located in the heart of downtown. A converted motor hotel from 50’s, the hospitality geek in me was enamored with the unique character and charm in every direction. What’s even better? 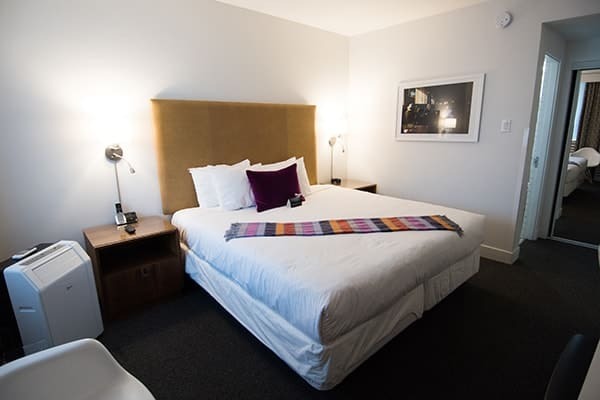 Every room has free WiFi and complimentary Nespresso machines. 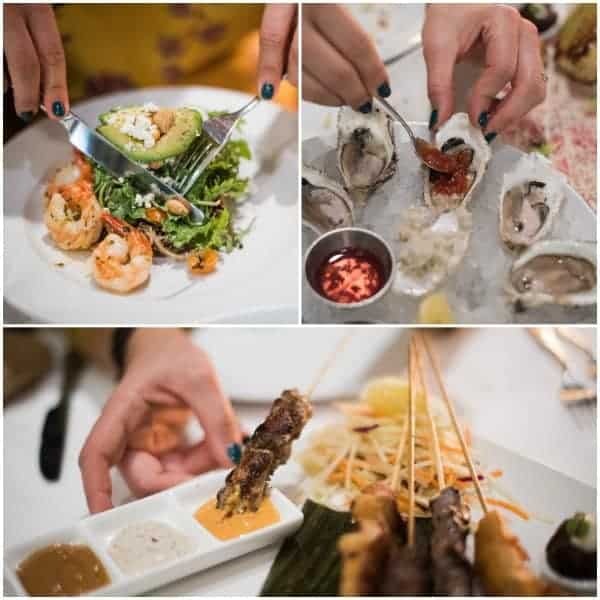 When it comes to dining in Vancouver, the options are truly endless but I knew right away that authentic Asian food was going to be a priority. 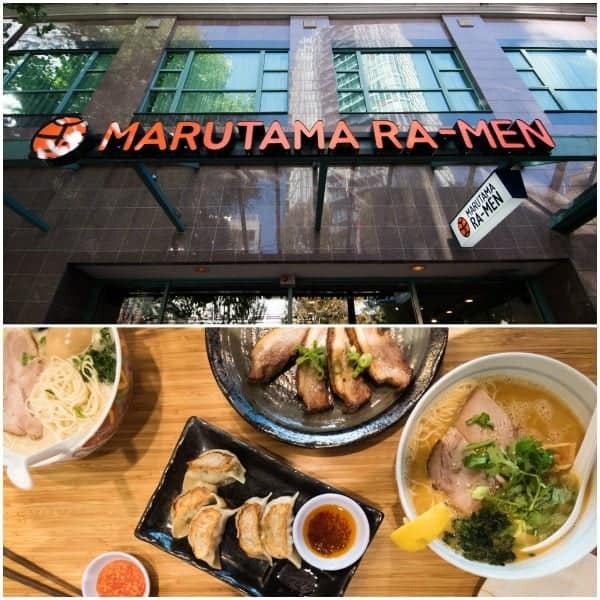 Marutama Ra-men hit the spot with their homemade ramen. Silky, fragrant and made with their signature chicken-based broth, I pretty much licked my bowl clean. 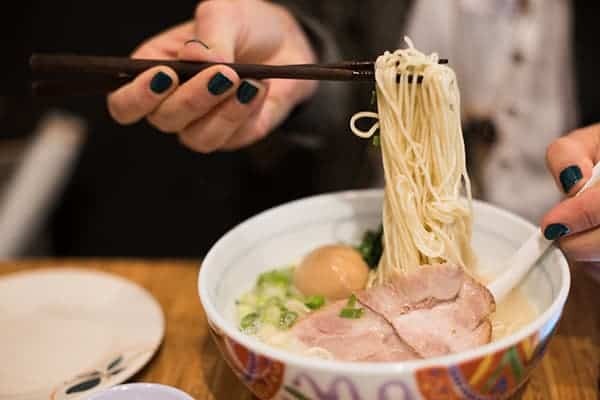 Truly, there’s nothing better than good ramen, especially after a long flight. 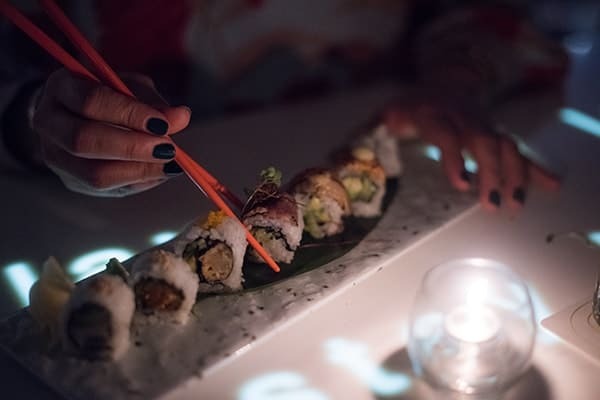 For a more upscale Asian dining experience, head to the Fairmont Pacific Rim’s Lobby Lounge for incredible sushi and a complete raw bar. 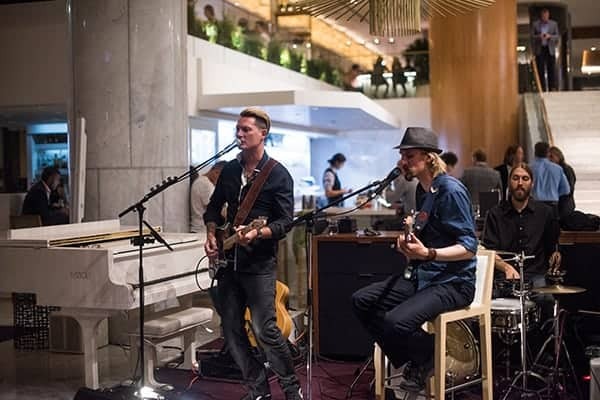 As one of Vancouver’s premier live music destinations, the atmosphere can’t be beat. The cocktails are also incredible and the service is everything you’d expect from Fairmont. Second to Asian food, seafood was next on my list since Vancouver has so much access to incredible local fish and shellfish. Glowbal blew my mind away offering fresh, inventive seafood dishes, flavorful meat entrees and a fun and lively atmosphere – perfect for a night on the town. 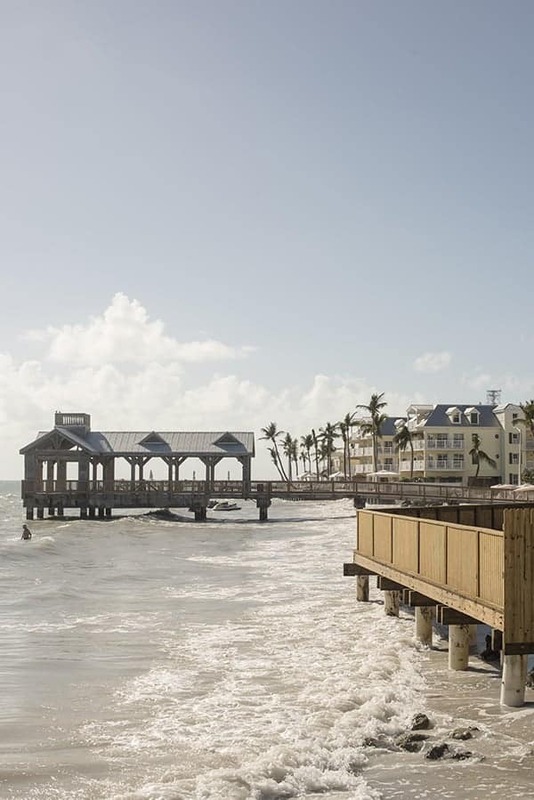 Pro Tip: Order the sable fish if it’s on the menu when you visit. Hands down, one of the best bites I’ve ever tasted. 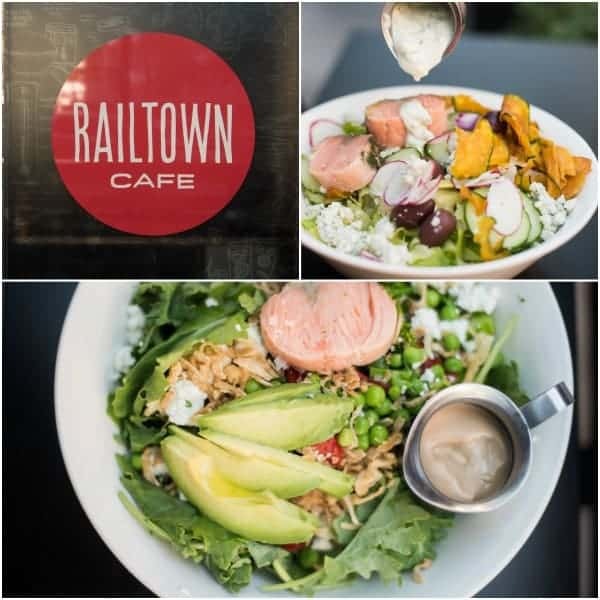 If you’re looking for a casual spot at lunch time, be sure to check out Railtown Cafe for sandwiches, soups and salads. You can customize your own salad with unique ingredients like crispy squash chips, pickled cauliflower and buckwheat. 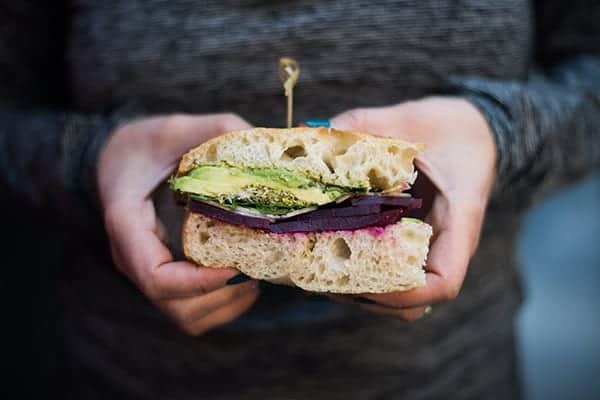 I’m not gonna lie, just looking at this photo of the vegan club sandwich is making me hungry! For breakfast, I’ve got two great options. 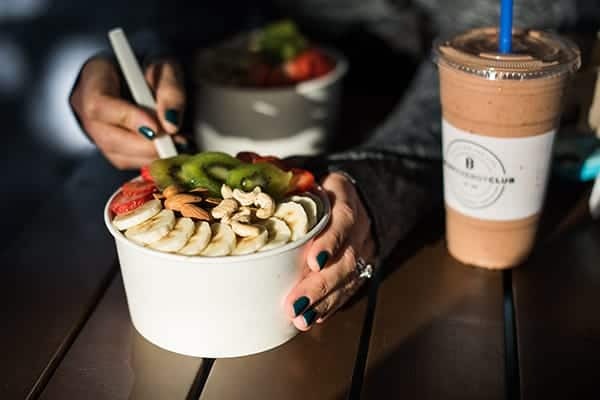 If you’re looking for a quick bite, perhaps something for on-the-go, be sure to stop into Body Energy Club for a tasty smoothie or açaí bowl. 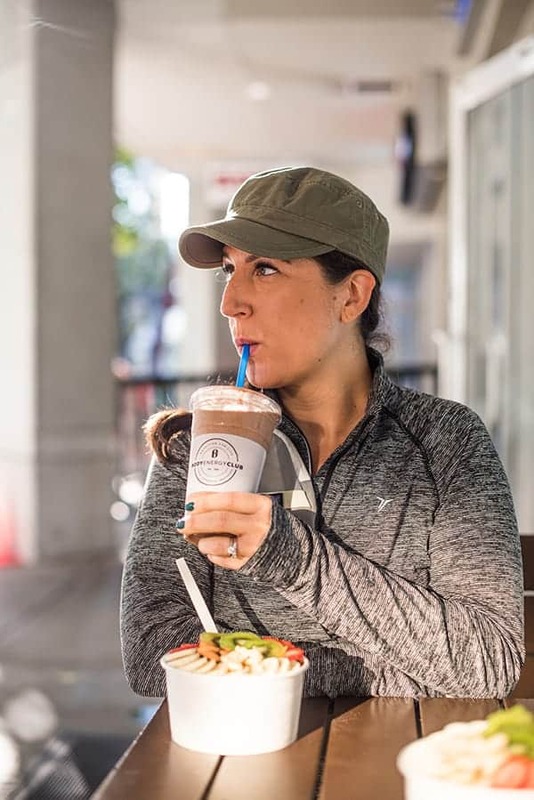 While it looks more like a health food store than a breakfast spot, I can assure you these were some of the most delicious and satisfying smoothies and bowls I’ve ever tasted. Don’t miss it! For a more indulgent breakfast option, I took a recommendation from my friend Dara who hails from Vancouver and headed to Yolk’s. I’m not normally one to crave pancakes in the morning but these fluffy banana pancakes topped with toasted walnuts were too good to resist – great for splitting with a friend. 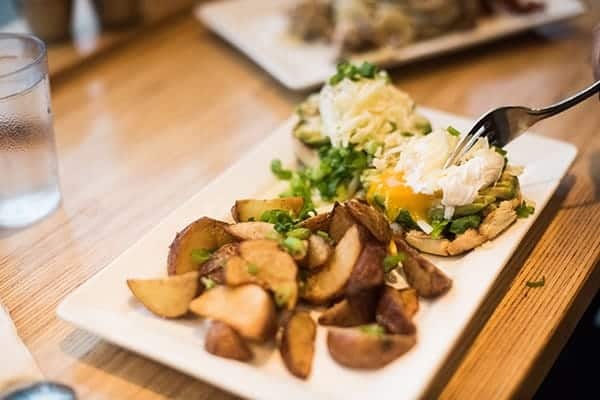 If you love eggs as much as I do, be sure to try their perfectly poached eggs which can be served on anything from an English muffin to their truffle-lemon hash browns. 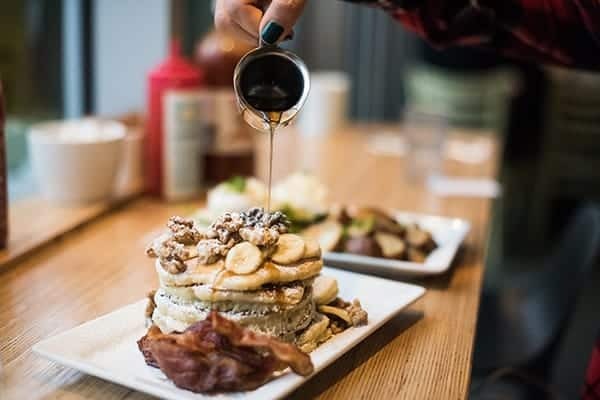 The ultimate breakfast spot during your next trip to Vancouver! Now that we’ve covered What to Eat, it’s time to talk about How to Burn it Off! 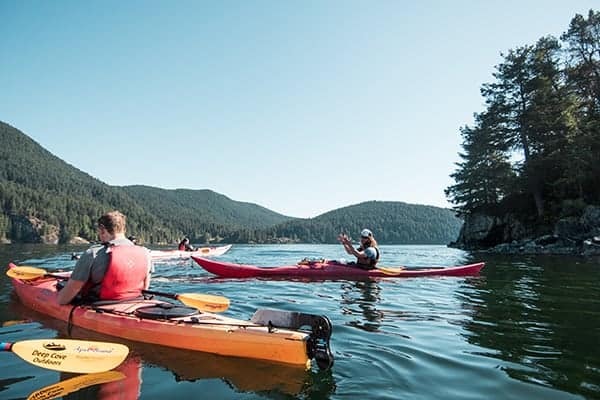 Fortunately, in a city surrounded by so much natural beauty and endless fitness studios, there are no shortage of ways to stay active while having fun. If the weather is nice during your visit, I highly recommend heading to Deep Cove Kayak for a water experience you’ll never forget. The three hour kayak tour was one of the most peaceful and relaxing workouts I’ve ever had in my life. 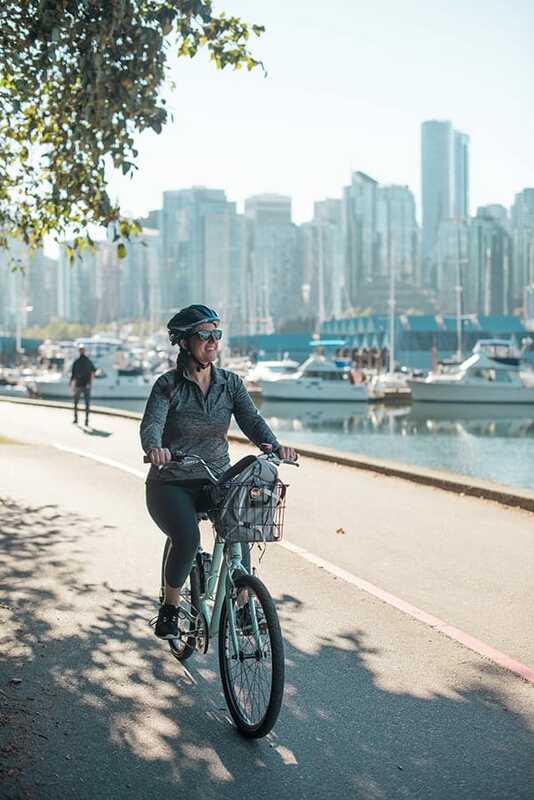 If you prefer to stay on land, lace up your sneakers and head to Stanley Park Seawall for a scenic bike ride. 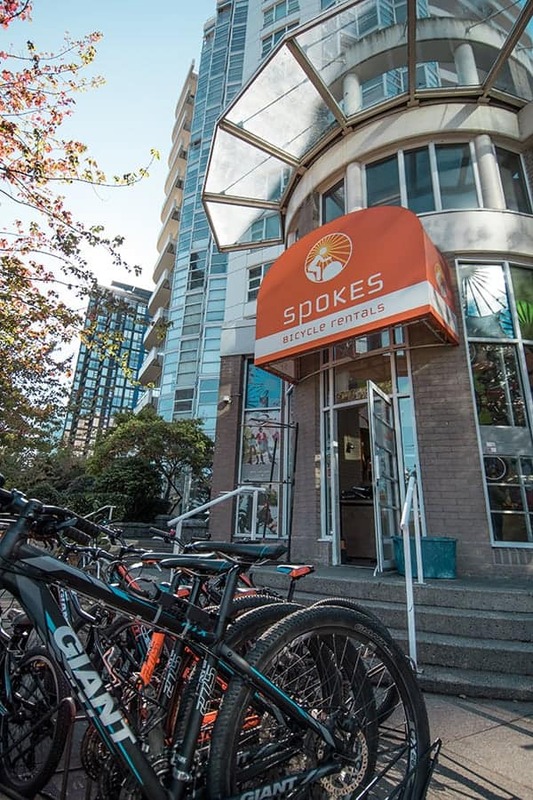 You can rent bikes right at the start of the bike path through Spokes Bicycle Rental. The path is flat making it ideal for people of all fitness levels. If you happen to be visiting Vancouver when it’s too cold to workout outdoors, I’ve got you covered. Tightclub Athletics offers both indoor and outdoor fitness classes, personal and group training sessions. 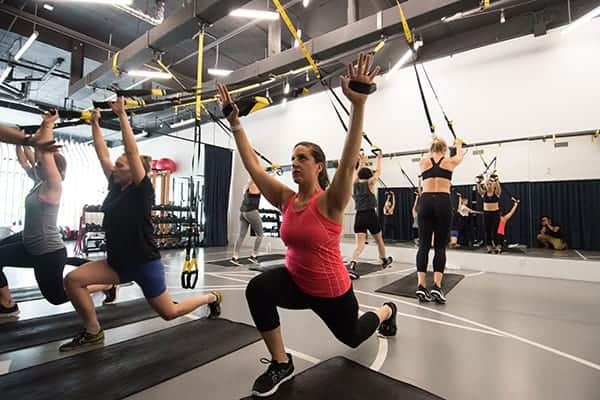 During my visit I took the Tight TRX class which is a low impact, high intensity workout. 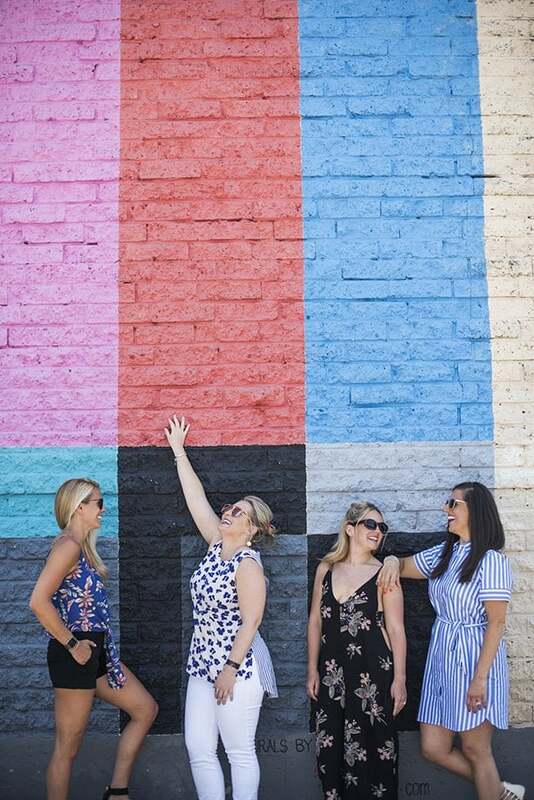 If you love working out to heart-pumping music surrounded by supportive, fit people who will high five you between moves, this place is for you. 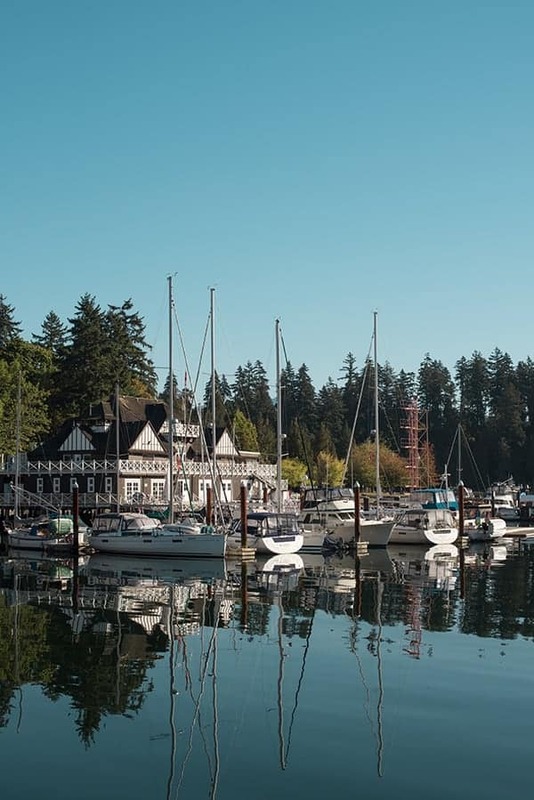 Have you ever been to Vancouver? What did I miss? Trust me, this certainly won’t be my last trip. Where should I head next? Are there any cities you’d like to see me cover? Let me know – I’m all ears! Disclosure: Tourism Vancouver coordinated my hotel accommodations, meals and activities during my stay. Photography by Alejandro Photography. I was not compensated to write this post. All thoughts are my own. 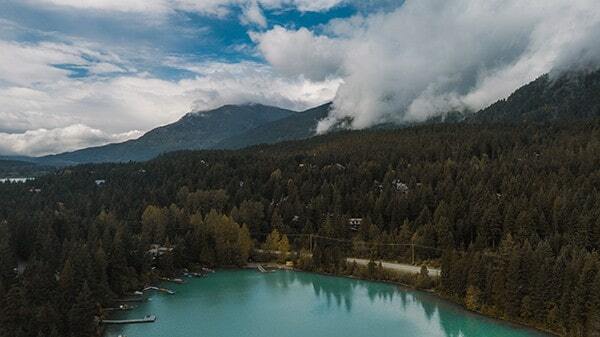 I’ve only been to Vancouver as a stopover in between our trip to Whistler and home and I will be there again for part of a day before our cruise to Alaska. It sounds like I need to consider a longer stay there…it looks like a great city! The kayaking looks amazing! You must go back!! It is such a gorgeous city!! Love the look of The Burrard, it looks quirky and fun. There’s something quite romantic to me in the old classic motel layout, it’s not common here so it’s very much a North American thing in my mind. 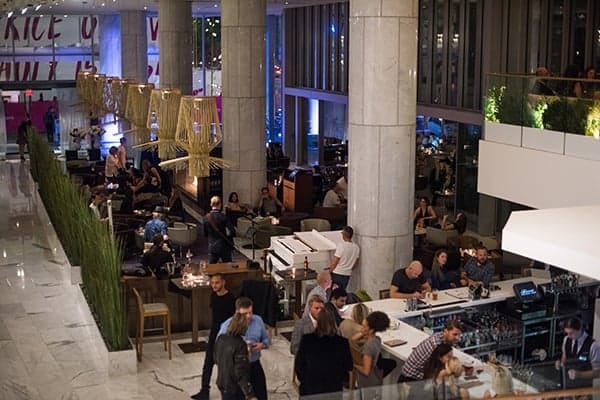 I last went to Vancouver more than 30 years ago and I know the food scene has changed enormously, I really want to visit and try places like the Fairmont Pacific’s Rim Lobby Lounge. 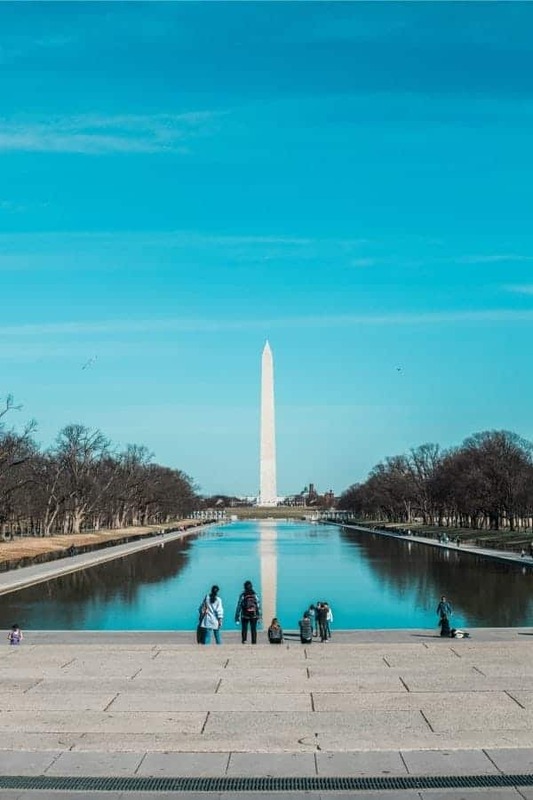 And of course, so much to see and do in and around this city! I remember whale watching being a highlight for me. I agree completely!! It’s very quirky and fun!! I hope you get to Vancouver again soon! That’s so awesome!! I can’t wait to go back!